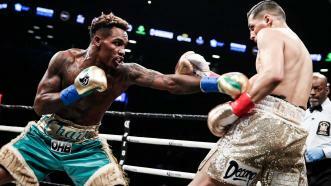 Former 154-pound champion Jermall Charlo sent a statement to the middleweight division in the co-main event, knocking out previously once-beaten contender Hugo Centeno Jr. to capture the interim WBC 160-pound title on PBC on Showtime on April 21, 2018. 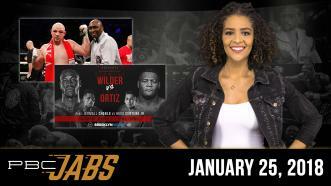 Heavyweight prospect Adam Kownacki checks in, we recap our exciting January 20th Showtime card and we reveal the recently announced March 3rd co-main event. 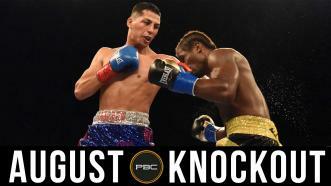 August PBC Knockout: Immanuwel Aleem vs Hugo Centeno Jr.
On August 25, 2017 Hugo Centeno Jr. knocked out Immanuwel Aleem with a vicious left hook up top. 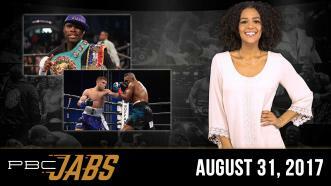 On this episode of PBC Jabs we recap our hard-hitting August 25th FS1 show and we check in with light heavyweight champ Adonis Stevenson. 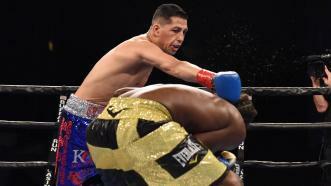 Plus, find out how you can win some PBC swag by testing your boxing knowledge. Hugo Centeno Jr. defeats Immanuwel Aleem by KO in RD3 with an explosive left hook that ranks as one of the best KO's of the year.